At the end of March 2015 we arrived in Lilongwe, Malawi, to serve full-time with the Grace Church of Malawi. We came because God called us to help train the Malawian church leaders to better teach and preach the message of God’s grace. To accomplish our purpose, we have focused much of our time on learning the heart-language of many of the people here. English is the national language, but most of the church leaders and members in the Grace churches do not speak English but speak the national language which is Chichewa. Although around 70% of Malawians claim to be Christian, there is a great need for evangelism. For example, after an altar call in one of our Grace churches, eight adults came forward to accept Christ as Savior. It surprised us that some of those people had been members in that church for many years but had never clearly heard the message of God’s grace — they had been trusting in their own works to be saved. This clarified for us the need to be involved in training pastors and key leaders in Grace churches so they can preach the message of God’s grace clearly. Because of this, in 2016 we visited towns and villages around Central and Southern Malawi holding seminars, preaching the gospel, and showing evangelistic DVDs. At the present time, only three of the 27 pastors in the Grace churches have taken a one-year Bible school program. Therefore, it is with much urgency that we concentrate on pastoral training through the Bible school program. Bill is passionate about teaching classes on dispensationalism, leadership, discipleship, spiritual formation, and preaching. 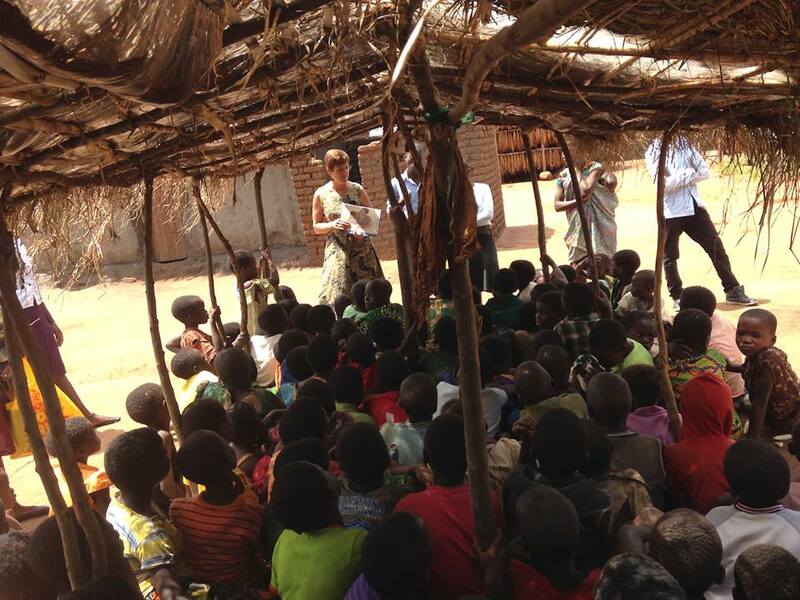 The Bible school has also begun to conduct modular classes translated into Chichewa in different areas of Malawi, which Bill will help teach on some of our trips. 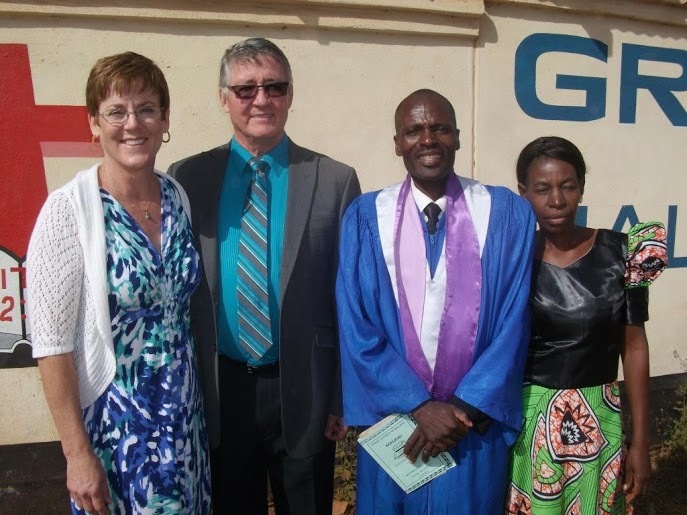 As the GMI field director for Malawi, Bill is involved in casting vision for others, which takes place in frequent meetings with fellow missionaries and national leaders. He views his role as motivating, encouraging, counseling, and facilitating all of our coworkers so that progress toward our field’s strategic plan is made. Sue is helping Yamikani, the director of children’s ministry. They are currently writing a Sunday school teacher training manual which they hope to use in many of the Grace churches. By connecting with different mission agencies she has also found some evangelical children’s Sunday school materials already written in Chichewa which are a great help in the ministry. We would like to see a children’s Sunday school class or a children’s ministry in each Grace church. We desire to see women’s groups formed in the churches where the women get together to study God’s Word. Sue meets regularly with one church’s ladies’ group and they are studying God’s design for the family. She also helped with Bible teaching during a ladies’ weekend event at another Grace church. She has obtained some books with solid, biblical teaching for women, but is experiencing some challenges in the women’s ministry: faithfulness in attendance, women who can’t read, and women who just don’t see why they should spend fifty cents on a book! We have found that the ministries we did in Congo prepared us to serve God in Malawi. Leadership training, theological education, discipleship, and women’s and children’s ministries were areas we were involved in in Congo and where we are serving here in Malawi. Our ministry in Malawi will also include writing, getting materials translated into Chichewa, and printing, as it did in Congo. For example, Bill has written two seminars which he taught to leaders, and he was also able to have a shortened version translated into Chichewa, thereby enabling those leaders to teach the material in their churches. We were young (in our twenties) when we went to Congo, but we’re not young anymore! And we are never more aware of it than when trying to understand what people are saying in Chichewa and trying to respond to them! We remember that Jesus gave speech and hearing to the mute and deaf and we are counting on him to do the same for us! We have three married daughters: Rachel, Christina, and Laura. Rachel graduated from Grace Bible College and Cornerstone University in Grand Rapids, Michigan, and now lives is Rwanda with her husband, Andrew Brose; Christina graduated with a master’s degree from the University of Pennsylvania and is a nurse practitioner and midwife, and is married to Aaron Brose (yes, he is Andrew’s brother! ); and Laura also graduated from Grace Bible College and is married to Moses Mouanoutoua. To read Bill and Sue’s most recent newsletter, click HERE.